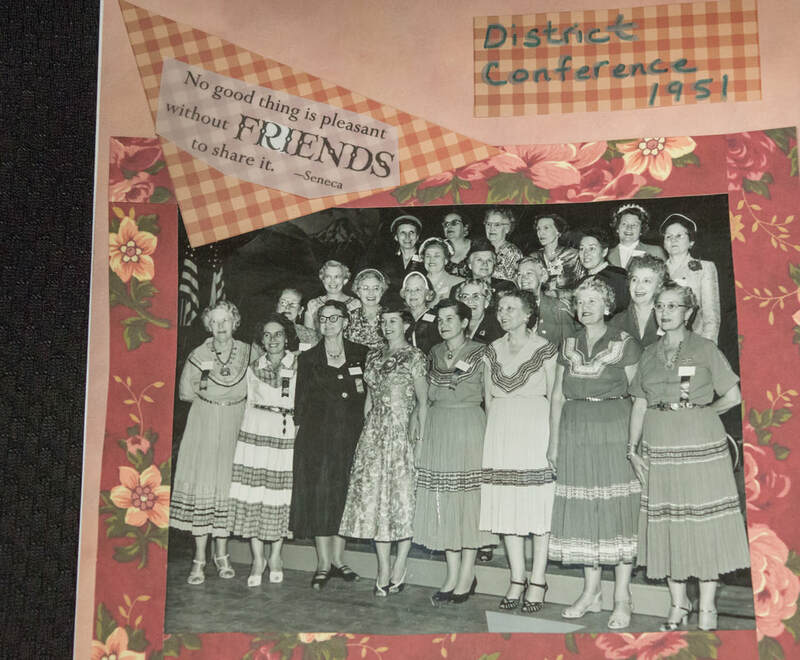 With 100,000 members in affiliated clubs in every state and more than a dozen countries, GFWC members are community leaders who work locally to create global change by supporting the arts, preserving natural resources, advancing education, promoting healthy lifestyles, encouraging civic involvement, and working toward world peace and understanding. 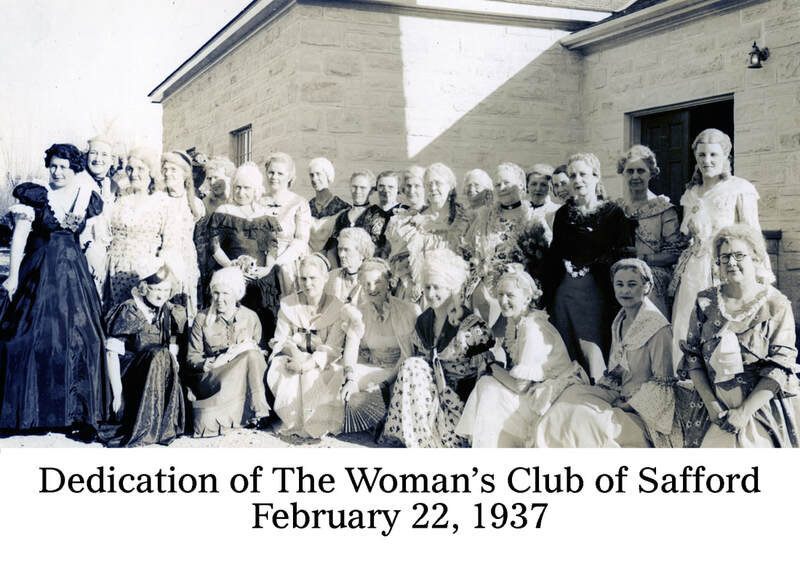 The Woman’s Club of Safford boasts a rich history of service dating back to 1896, when the club was first established as “The Improvement Club,” whose main focus was on the cleanup of local streets and yards. 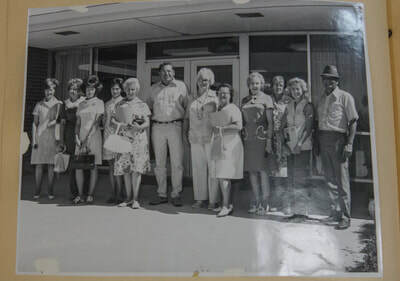 Within five years, the club evolved into a study group designed to bring a bit of culture to the ladies of the community and became the “Sahuara Club” after the giant saguaro cactus. Mrs. Anna French was the first recording secretary, and there were 20 members. In the first year, the group studied American literature and the ladies contributed their own books to share. At year’s end, there were more than 100 volumes, and talk then began about the need for a public library. Each year brought changes in the membership as new members brought new ideas; and with a demand for wider fields of interest, different departments were organized: Child Welfare, Home Economics, Civics and Literature. And so emerged “The Woman’s Club of Safford” in 1913. Mrs. A.G. Smith was the first president. 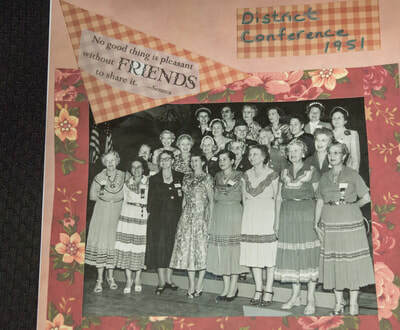 This club was organized in 1913, federated in 1915 and incorporated in 1924, and was the first woman’s organization to be established in Safford outside the different churches. Early projects of the club, in addition to forming a library, included a campaign to rid the town of flies. Mrs. R.W. Chambers, president 1914-15, started with a mass of damning evidence against the insect, and the war was on. That valiant soul, Mrs. Charles Gilpin, was busy daily, digging graves for the bushels of dead victims brought in to exchange for theater tickets (children were given a 10-cent show ticket for each quart of flies turned in). There was plenty of comedy on the sidelines, but the result was mass education about the menace of the fly. The club was delighted to be given two large basement rooms after the courthouse was completed in 1916, where it could house the library and hold meetings. On March 3, 1916, the library was opened in the courthouse. Most of the books up to that time had been donated, and it was well stocked for the opening. Some time later, the library was moved to Town Hall, located on Fifth Avenue, south of H & R Men’s Store on Main Street. It remained there until the move to the new club building — the current clubhouse, in 1937. From this small beginning, the Graham County-Safford City Public Library came into being. Mrs. A.G. McAlister was the first executive librarian. Other worthy projects taken on by the club included having the windows of the north elementary school screened, keeping out flies and other insects. At the time of the dedication of the new County Courthouse, the club presented the supervisors with a large American flag. Another campaign was the removal of many of the cottonwood trees within the town, thus destroying the germ-laden cotton that filled the air during the spring and caused much illness. Club minutes report that during 1917, “Everyone worked on the war efforts.” There were Liberty Bond Drives, Minutemen Talks, the War Victory Commission Fund and Red Cross Drives. All of these were the “Topic of the Day.” The State Federation asked the club to help in the conservation of food, economizing in every possible way. Mrs. W.E. O’Bryan was a tireless director of the Red Cross work and wished she had the old lists of hundreds of garments made at that time and also the hundreds of knitted sweaters, socks, scarves, etc., the club donated to the effort. 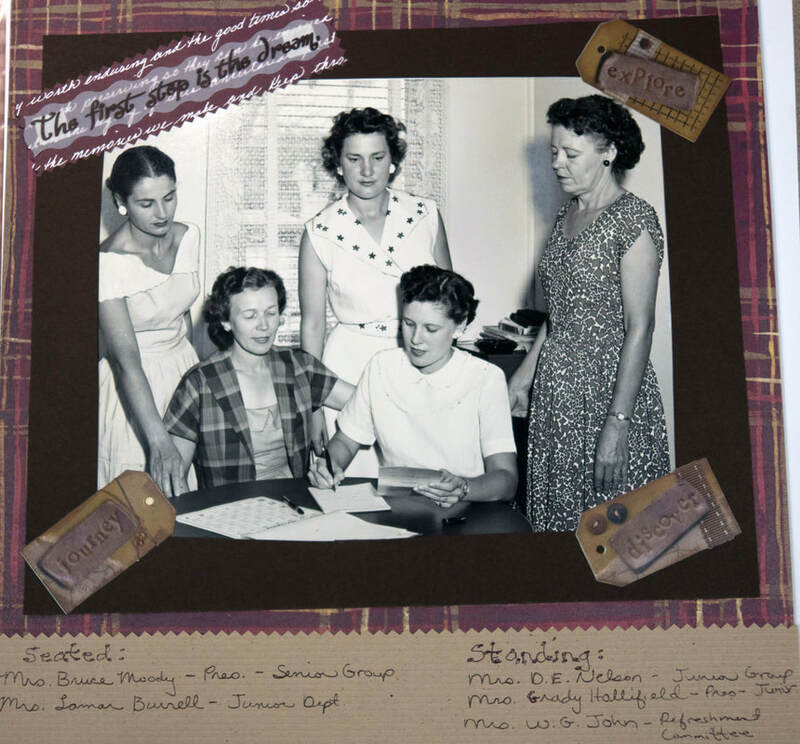 As the town grew, so did club membership, and the ladies kept busy on various projects. As all women dream of a home of their own, so, too, did the club’s women dream of a home of their own. So the ladies invested in the corner lot on 5th Avenue and 7th Street, north of the old Gila Laundry Building. There was a large tin building on this lot, which they rented to the Hoopes Transfer Company for the sum of $10 per month. This property was later sold for $2,700. This was the start of the savings for a clubhouse. The next purchase was the lot on Main Street where the clubhouse now stands. Mrs. Martha Prina, one of the charter members, was dedicated to the progress and successful achievements of the club and served as the president for 1924-25. At various times, she came to the rescue with a loan of money. 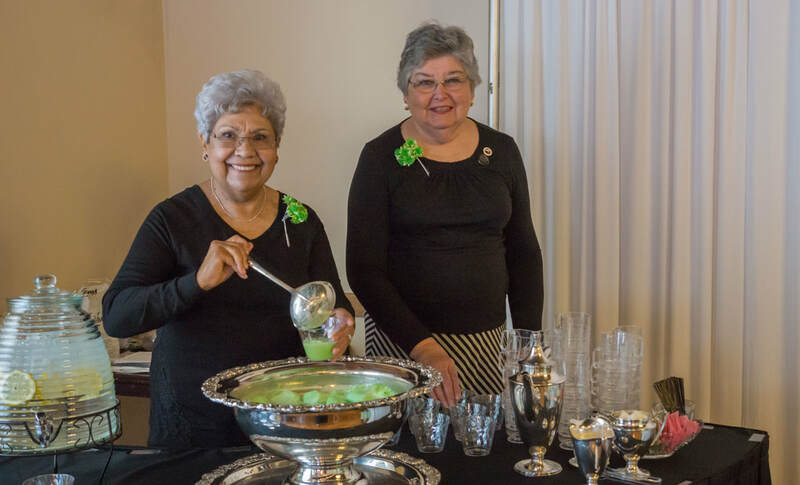 She was truly a great friend and mainstay of the Woman’s Club, as well as an outstanding person in the community, and her early death was an occasion for sorrow and grief, as well as a great loss to the community. During all these early years, not all efforts were devoted to the great desire for a clubhouse. There were various worthwhile and active departments then, as there are today. Art, music, international affairs, home life, welfare, education and literacy were stressed from the beginning. The Literary Department met each month for a book review. The Music Department was very busy, and the club chorus entertained on many occasions. Christmas baskets for the needy and clothing for the poor schoolchildren were among some of the early concerns. In January 1936, questionnaires were given to local merchants with a request that each one state whether he thought a library was of value to the community. Each answer emphasized the need for a library. Some suggested it be supported by the county, while others suggested that the city provide funds for it. ​However, all were in favor of the library being under the supervision of the Woman’s Club. The Safford Public Library has thus continued to be the major club project throughout the years. In 1935, the board was composed of 12 club members who managed the library, selecting the books and donating their services twice a week to keep the library open. That year, 116 new books were added (101 books were purchased and 15 donated). Over a four-month period, the monthly average of books issued by the library, when open daily, was 735.